A one-mile gap in the border wall starts near Los Indios, Texas. Only about a third of the U.S.-Mexico border – 650 miles – is covered by some kind of barrier. They are among the nation’s richest people, owning land in some of the most remote – and impoverished – places in the country. They are multigenerational ranchers and recent arrivals, heirs to Fort Knox-like fortunes and the inheritors of fallow dirt patches along America’s southern border. Fiercely independent, they do have one thing in common: They will take center stage yet again if President Donald Trump moves forward with his promise to wall off the border with Mexico. As such, the question of who owns the border and how they will be compensated looms large. But many owners say they have no intention of giving up their land without a fight. 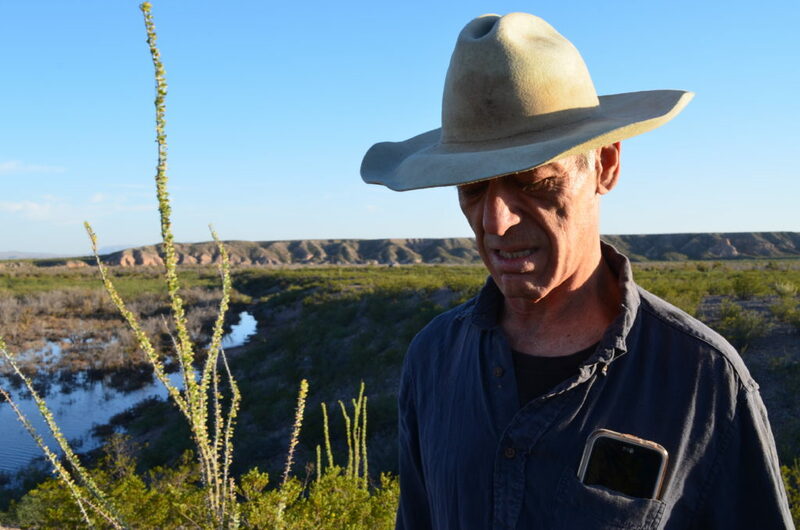 Over the past two decades, local activist Bill Addington has grown accustomed to battling outsiders treating his far-flung Hudspeth County in West Texas as a massive dumping ground for New York City sewage and a proposed nuclear waste site. So far, the federal government has shown little interest in erecting a wall on his family’s land, where flocks of snowy egrets swoop over flooded pastures yards from the Rio Grande. Still, he sees little difference between past schemes and the latest barrier proposal. In combing through property records from all but one of 22 counties along the international boundary, Reveal from The Center for Investigative Reporting found that less than a quarter of the top 200 landowners currently have a border barrier on their property or on adjacent federal land. Reveal also gathered limited information from Hudspeth County, where property records are not digitized. Only about a third of the U.S.-Mexico border – 650 miles – is covered by some kind of barrier, making the construction of an unbroken fence a herculean and expensive engineering feat. A wall would be even more so, with cost estimates as high as $67 billion. The Trump administration has asked Congress for nearly $18 billion to build 722 miles of border wall, including 316 miles of new fence. Border landowners are a diverse group of people. They are Republican conservationists and Democratic land barons, outspoken government critics and quiet influencers, the products of the politically powerful and the relatively disfranchised. Some have struggled with migrants and drug traffickers crossing their land, even donating millions of dollars toward law enforcement to combat it. Others have drawn the attention of federal agents who have suspected them of looking the other way as smugglers crossed their properties or engaging in drug trafficking themselves. San Diego land developer Gregory P. Lansing, for instance, had plenty to say in support of candidate Trump and has been a loyal supporter of and contributor to Republican causes and candidates, but he declined to be interviewed about his land and the proposed wall. A holding company of his, 569 East County Boulevard LLC, owns about 220 acres along the border. Fencing exists there, but on adjacent federal land, Reveal’s analysis of property records found. The administration has drafted plans for its first foray along the border: to replace 40 miles of fence in California and West Texas and add 60 miles of new wall in South Texas, according to records obtained by the Sierra Club through a Freedom of Information Act request. 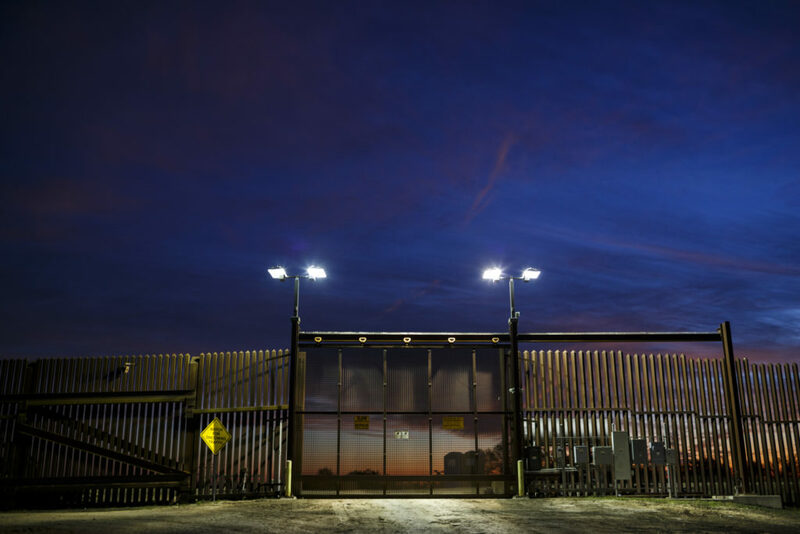 U.S. Customs and Border Protection, which is overseeing the project, has announced the completion of eight wall designs and the start of prototype testing. Border landowners also know the wall is not a given. The House Homeland Security Committee passed a bill in October that would set aside $10 billion for the wall, but getting the Senate to agree to pay poses a problem for the administration. Sen. Claire McCaskill of Missouri, the leading Democrat on the Senate Homeland Security and Governmental Affairs Committee, released a report in November stating that the administration could not say how many U.S. citizens will have their land seized, even though it is seeking $1.8 million to fund 20 new positions, including 12 more land acquisition attorneys to file eminent domain lawsuits. Trump so far has stood firm on his campaign promise to build a wall, but he has waffled on how long it will be. He has said at different times that the barrier doesn’t have to be 2,000 miles, but can incorporate the natural landscape of mountains and rivers. In a January White House meeting with lawmakers open to the news media, the president said he had recently met with border and immigration agents. “They say ‘Sir, we desperately need the wall,’ ” Trump said. What will the government pay – and to whom? Paralleling roughly 700 miles of the 1,954-mile U.S.-Mexico border, a 60-foot-wide swath of land has for more than a century been a kind of Maginot Line for U.S. border security. Climbing out of the Pacific Ocean, the Roosevelt Reservation runs eastward along the border until the Rio Grande marks the international boundary. Controlled by the federal government, the easement buffers the U.S.-Mexico border as it cuts through high-desert peaks, cactus-choked valleys and sand dunes. Today, green-and-white Border Patrol trucks often can be seen traversing the dirt strip, on the lookout for smugglers and other border crossers. The easement, established in 1907 by President Theodore Roosevelt to thwart smugglers who wanted to avoid duties on goods, gives the federal government access to the border, which has left much of California, Arizona and New Mexico with fencing of one kind or another. East of the Roosevelt Reservation, building a wall poses a logistical challenge because ownership becomes murky. Although the federal government is the nation’s single largest property owner along the southwest border, most of the land belongs to state governments or private owners. In its efforts to seize land to build a fence, the federal government has struggled to identify owners, particularly in Starr County in the lower Rio Grande Valley of Texas, where spotty records date back 250 years in some cases. Historically, some who challenged the government’s action to take their land have found the effort worthwhile. During the last big push to build fencing under President George W. Bush, the government purchased 125 acres for $1.5 million – an average of $12,000 an acre – according to statistics provided in May by the U.S. Army Corps of Engineers. That building boom mostly came to a halt in 2011 with President Barack Obama’s declaration that the border fence was essentially complete. For nearly a decade, one property owner has fought eminent domain proceedings targeting more than 1,200 acres he owns in Starr County – the largest single portion of land sought by the federal government. But David Guerra, who practices law in McAllen, didn’t want to talk about it. “I’m in negotiations with the government and not in a position to discuss this right now,” he said in October. Straddling the Arizona-New Mexico border, the Malpai Borderlands are a stunning region where cattle outnumber humans. Fencing already parallels some sections of the international border here, but where and why does not make sense to ranchers such as Kelly Kimbro, who both owns and leases land that abuts about 150 acres of the Roosevelt easement, where there is fencing. Kimbro, who lives in Cochise County, Arizona, said roads built to facilitate fence construction have attracted drug trafficking, as they have given smugglers better access to the border. She said there’s no need for more fence, let alone a wall. Some Texas property owners agreed to give government contractors access to their land for fence construction when the proposed barrier was on public property. Others did so only after being sued. Two Rio Grande Valley agricultural producers, J&D Produce and Neuhaus and Sons, never were sued, but 21-foot-tall steel fence cuts across their land – on top of an easement used for flood control. 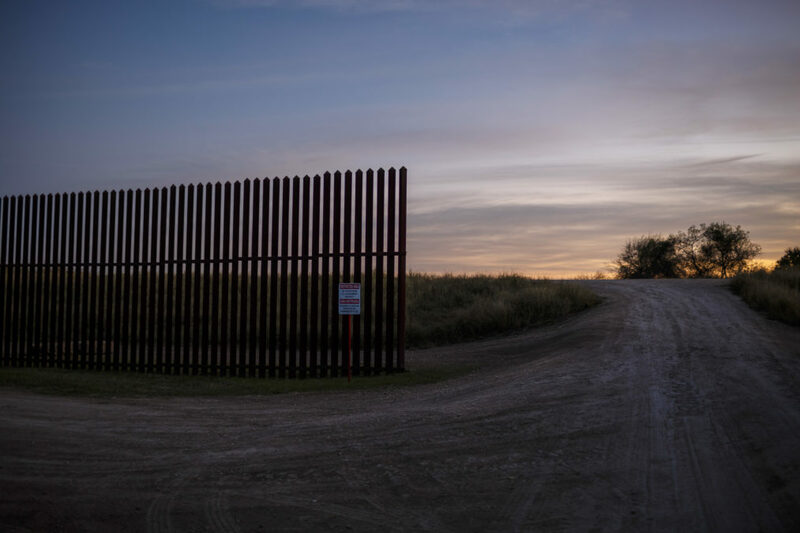 Lance Neuhaus said it made sense to put fencing near his family’s land, as it’s close to a port of entry near Donna, Texas – even if the barrier funnels those sneaking across the border to other areas. 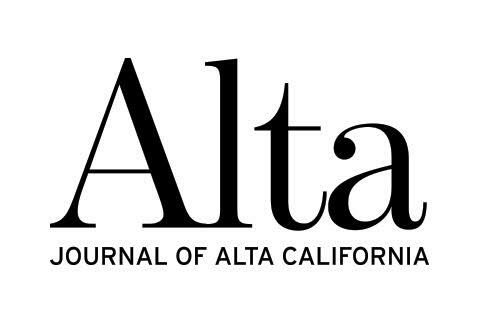 For others, a laissez-faire approach to illegal cross-border traffic has been a business strategy of sorts. In Arizona, Domingo Pesqueira stands out for both his extensive Pima County land holdings, with fence running along them, and Mexican political ties. Along with his family, Pesqueira for years has owned most of the Arizona border town of Sasabe. Pesqueira is also a former mayor of Altar, a staging ground for human smuggling 60 miles south of the border in the northern Mexico state of Sonora. He once told a Tucson newspaper that the town’s economy benefited from migrants crossing north, saying, “It gives work to a lot of people.” Pesqueira couldn’t be reached for comment. On the southeastern side of Arizona, Ronald “Joe” Borane owns a stretch of land between the border and Cochise County Airport. A former magistrate and real estate speculator in the town of Douglas, Borane was indicted on drug conspiracy and money-laundering charges in 1999. Those charges were dropped after he agreed to plead guilty to two felonies related to fixing a speeding ticket for an undercover FBI agent. Borane had come under scrutiny for selling land to a Mexican real estate developer that became the site of the first cross-border tunnel discovered by federal agents. Prosecutors allege that the notorious Mexican drug lord Joaquín “El Chapo” Guzmán commissioned the tunnel. Borane was not charged, but Guzmán was extradited last year to the United States, where he awaits trial. Buffett and Moody. Walmart and Anheuser-Busch. Names of some of the wealthiest American families and companies pop up along the border, where they have invested in vast swaths of land for conservation and their own retreats. But you won’t find most of them in property records. Instead, their ownership of the southern border hides behind other names, such as Iroquois and Geronimo. To unveil the true owners, Reveal researched property ownership, including cross-referencing property records with documents filed with state offices. Howard G. Buffett, the oldest son of billionaire investor Warren Buffett, controls Iroquois LLC’s roughly 360 acres of southeastern Arizona land that touches the border through his namesake foundation. 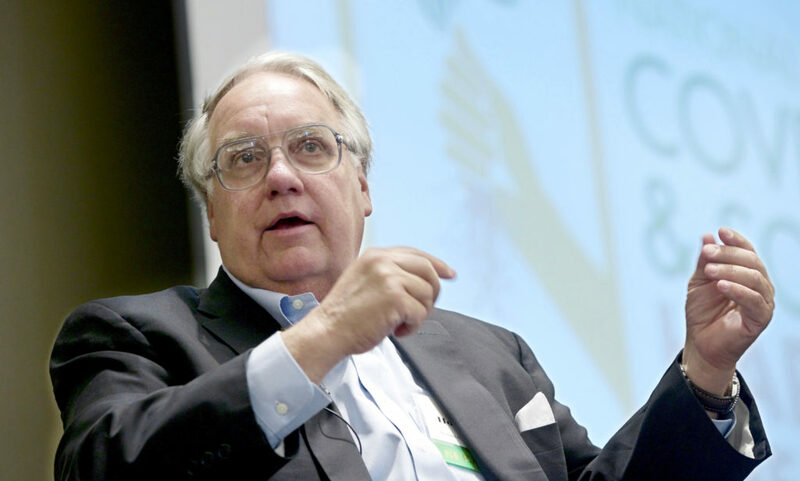 Howard Buffett has used the arid land to study agricultural practices that could be used to address famine in Africa. U.S. law enforcement sources say his property, fenced along the Roosevelt easement, has been a hot spot for drug trafficking for years. Buffett also has given millions of dollars to the sheriff’s office in Cochise County to pay for crime-fighting equipment, including a helicopter, foundation records show. Ann Kelly Bolten, president of Buffett’s philanthropic foundation, said he will publish a book on border security this spring. Nearby, E. Stanley Kroenke, recently listed by Forbes as the 57th-richest person in America, has purchased five ranches that run from the Arizona border north under his local land company, Geronimo Ranch LLC. Nearly 100 acres, separated from the border by a thin strip of state-owned land, sit near the place where Apache warrior Geronimo surrendered to U.S. troops in 1886. The property does not have any fence on it. Kroenke, whose company Kroenke Sports & Entertainment owns arenas and several sports teams, is married to Ann Walton Kroenke, an heiress of the Walmart fortune. Geronimo Ranch is incorporated in Missouri and registered in Arizona and New Mexico, with the intent of purchasing more ranch land, according to a Missouri secretary of state’s office filing. 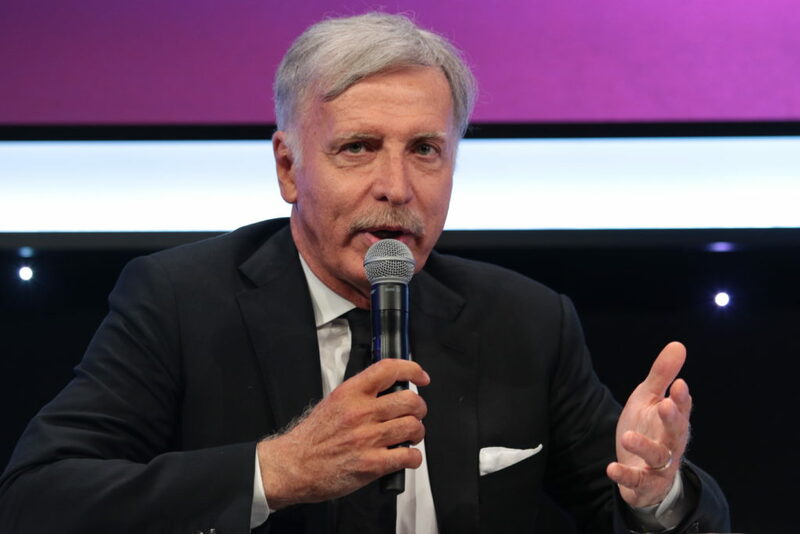 Although Kroenke has been a financial supporter of Republican politics, he did not make any direct campaign contributions to the 2016 presidential candidates, according to the Federal Election Commission. A call for comment to Kroenke’s company was not returned. Elsewhere, in New Mexico, Pacific Western Land Co. – a former subsidiary of giant mining company Freeport-McMoRan Inc. – is the state’s largest owner of unfenced border land, holding much of the so-called Bootheel. Protected ranchland in the bucolic Animas Valley controlled by Seth Hadley, whose family lineage includes the founder of Anheuser-Busch, is fenced on the Roosevelt Reservation. 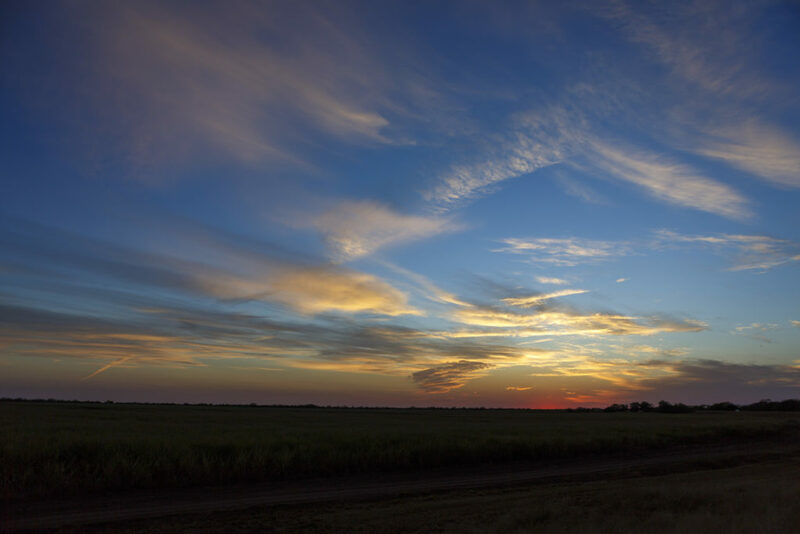 In the Lone Star State, from mountains in West Texas above the meandering Rio Grande to arid rolling hills around the Big Bend area and scrub brush plains and palm tree-lined valleys that follow the river to the Gulf of Mexico, massive ranches mingle with family farms. Here, descendants of an insurance and banking magnate and a former state governor own some of the largest ranches, none of which appear to have border fence. For years, the largest identified contiguous landowner was Moody Ranches Inc., where the epic TV miniseries “Lonesome Dove” was filmed. One of the Moody properties, the Rancho Rio Grande, which recently was sold, spans more than 4,800 acres within a quarter-mile of the border across three counties west of San Antonio. Bill Moody IV, an heir to insurance and banking fortunes who died in 2014, opposed the last push to build more border fence because it was not only expensive and ugly, but also unfriendly to Mexico, he told a reporter in 2007. The Moody Foundation, the family’s philanthropic arm, has given money in recent years to presidential library programs, including those of both George W. Bush and George H.W. Bush. In nearby Webb County, Briscoe Ranch Inc., which owns a number of separate ranches, stands as one of the largest ranch land holdings in the U.S. Dolph Briscoe Jr. served two terms as state governor in the 1970s, and the family’s ranching empire extends across more than 600,000 acres of Texas. A call to the family was not returned. A virtual wall or natural barrier are among the alternatives suggested by some of those along the border. Building a physical barrier, they say, will only cede American land south of the wall to Mexico. 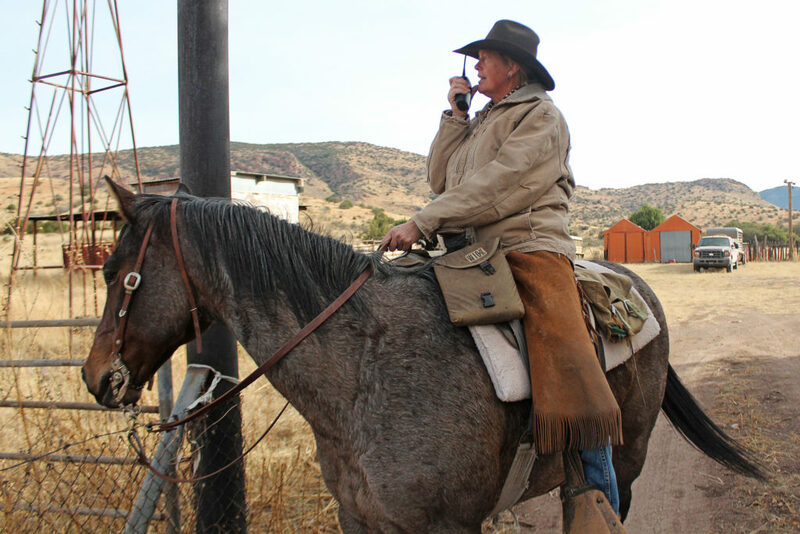 Bowles is glad the government has not fenced his land in Quemado, Texas. But with 76 acres of riverfront that has been a drug-trafficking thoroughfare for more than three decades, he said it’s about time officials did something. He has invited the Border Patrol to erect a tower with remote-controlled surveillance cameras on his ranchland. For some ranchers, the preferred term for protecting the land is conservation. For other property owners, it’s about saving not only the family land, but the environment, too. Arizona residents Valer Clark and ex-husband Josiah Austin have worked to restore and preserve natural grassland and ranches along the southwest border. Those restoration efforts have greater potential to stem the flow of drugs or people than Trump’s proposed wall, Clark said. In Texas’ remote Brewster County, Austin has pushed for conservation in the Big Bend area through his El Carmen Land and Conservation Co., which he co-owns with Cemex – the giant Mexican cement manufacturer that has vowed not to participate in building the wall. Austin’s family tree includes Texas founder Stephen Austin. With about 1,100 acres of river frontage, El Carmen is among the largest expanses of privately held land on the border. Next to Big Bend National Park, it is as arid, remote and inhospitable as any area in the Southwest. Steep desert mountains here already create a formidable wall and, unlike other border regions, border agents are seen patrolling far less frequently. Man-made border fence is nowhere to be found and roads are rare. The waters of the Rio Grande create another potential barrier in this region – at times impassable, at other times so shrunken that Austin can wade across it. Regardless, he argues, a wall would be a waste of time and energy. Andrew Becker can be reached at andrewbecker2018@gmail.com. Follow him on Twitter: @Beckerreports.